Our range of Twist display stands give a versatile and cost effective way of creating large displays ideal for promotional events and at exhibitions. 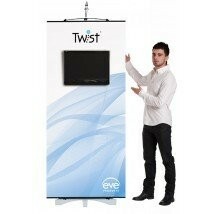 Twist display systems allow you to create flexible configurations due to its simple to use flexi linking technology. 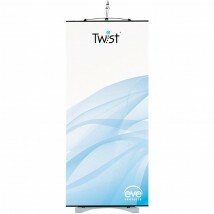 This means that a Twist banner stand can be used on its own or combined with a Twist media banner stand or banner stands of various widths. 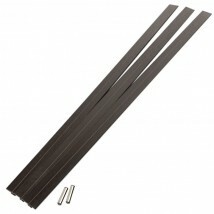 They can also be joined at angles to create curves and seamless display walls. 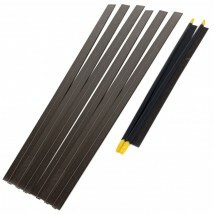 Link banner stands together to create impressive modular exhibition displays. 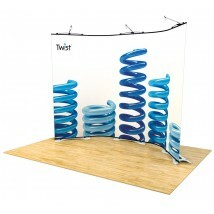 The Twist banner stands can be used on their own or combined to create flexible graphic walls. 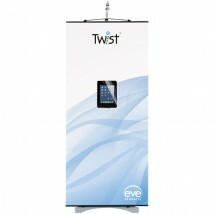 The Twist banner stands can be ready to go within minutes at retail, POS and exhibitions with joining kits to create seamless graphic displays. 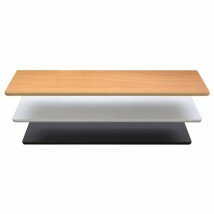 Twist display stands are available in a range of widths and heights, with an option for a media stand that includes a bracket for holding a screen as part of your audio visual display.